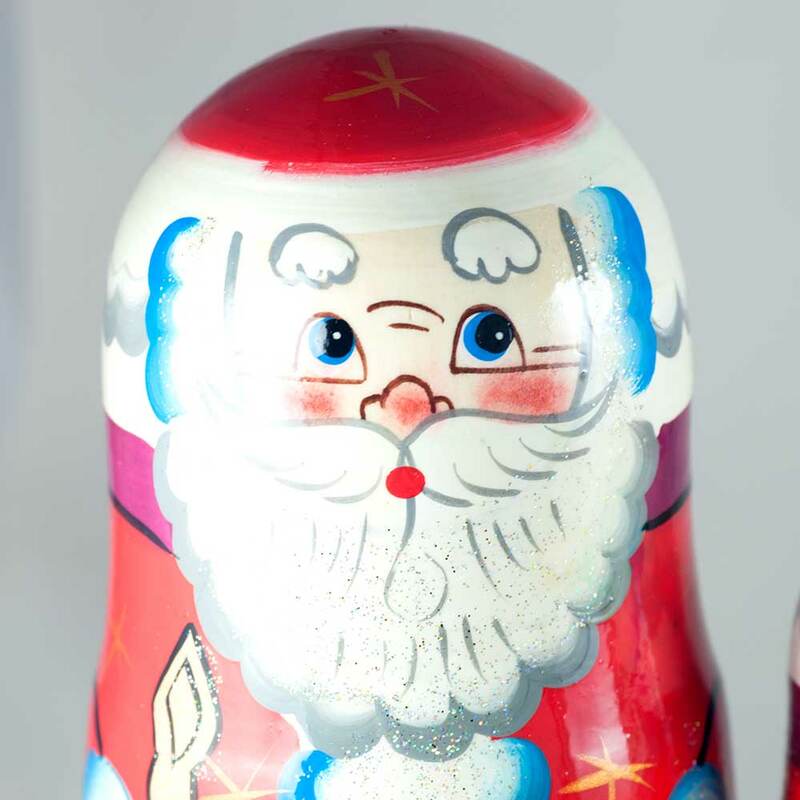 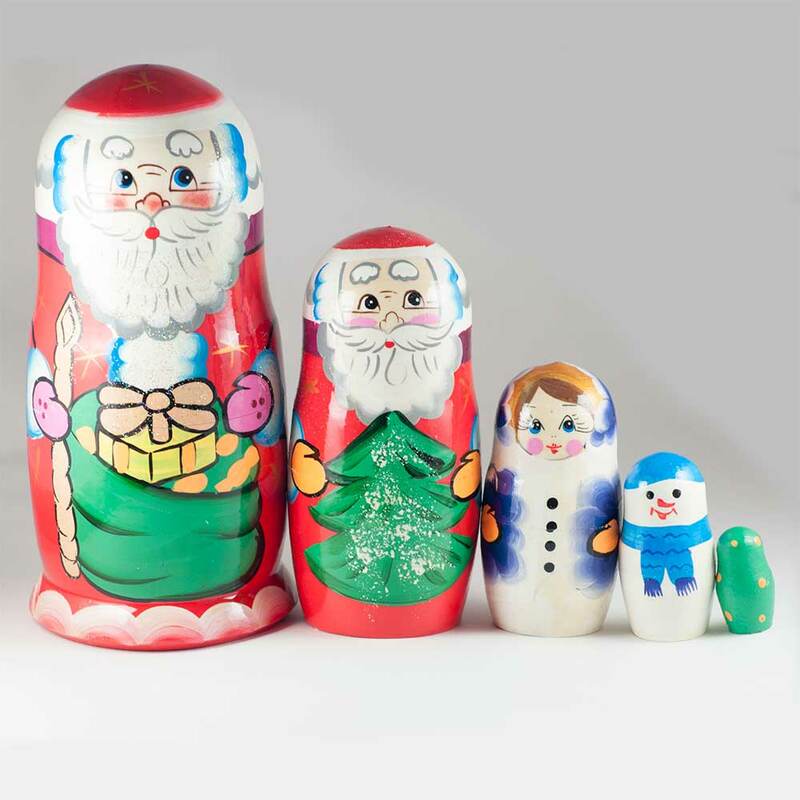 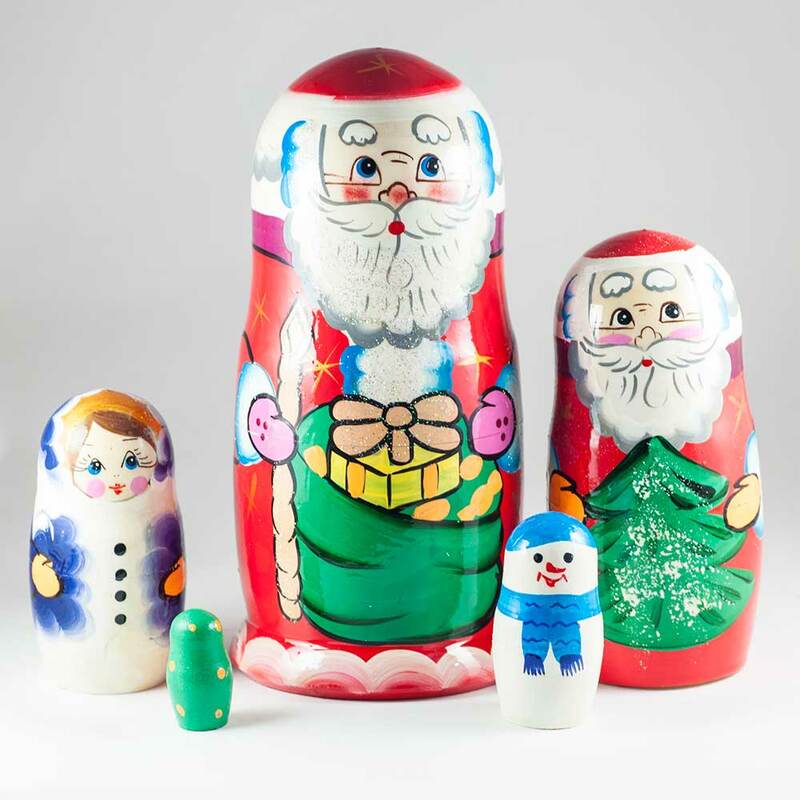 5 pieces set, height 14 cm/5-3/4"
This is nesting doll with Russian Santa - Father Frost (Ded Moroz) in red coat. 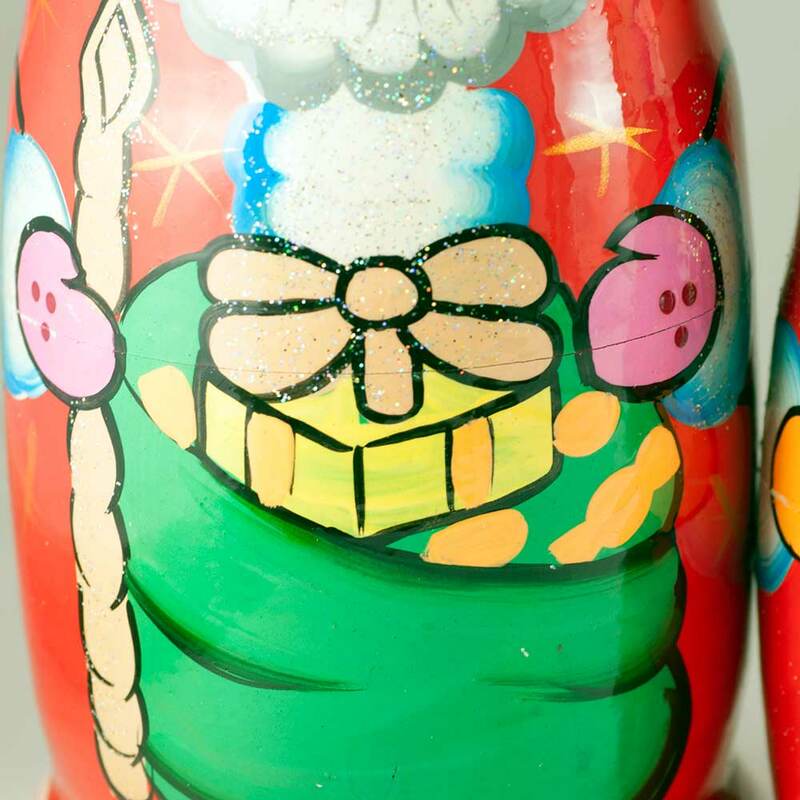 Artist as well painted Santa with sack full of gifts, Snow Maiden (Snegurochka), Snowman, and a Christmas tree ornament. 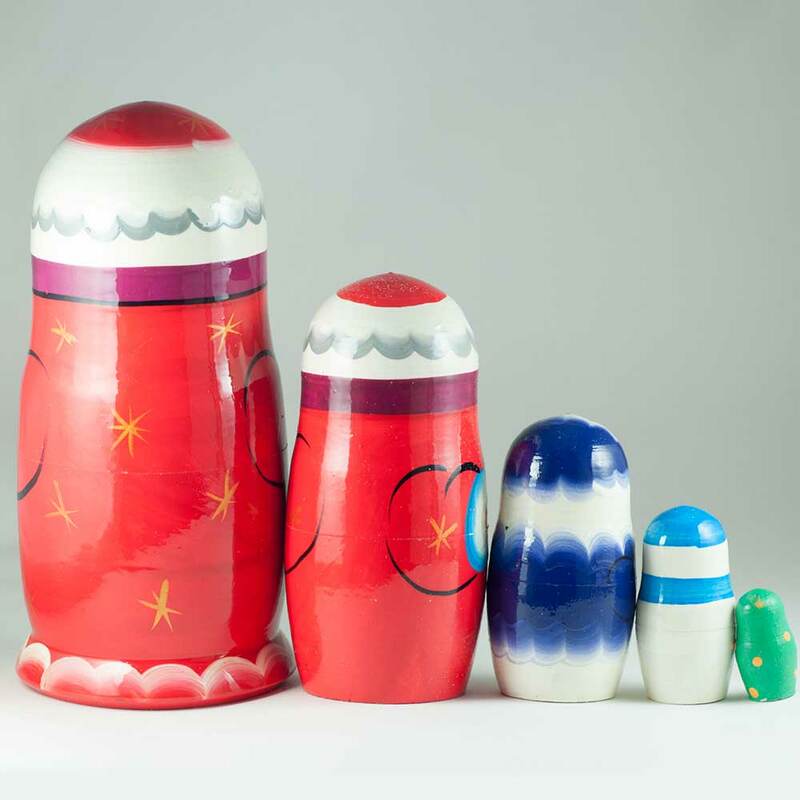 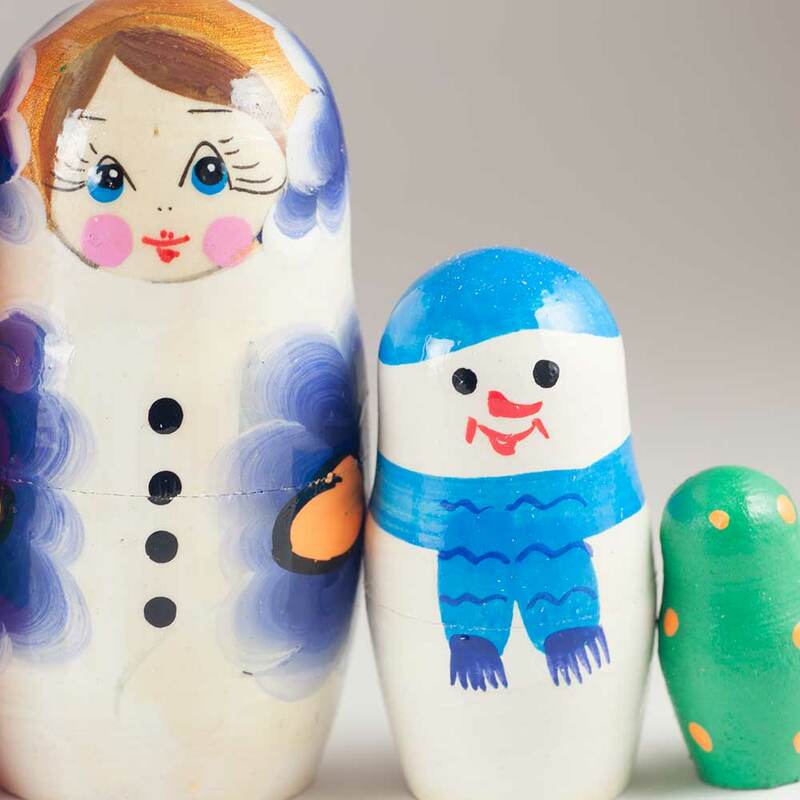 The nesting doll is well finished with some layers of glossy lacquer.